favorite book you read this year?? Loved that one.. read it last year. Did you know there’s a sequel? Nancy I didn’t know that…thank you! Nancy No I did not know that. Thank you I will look for it! Another two that I loved were The Hearts Invisible Furies and The Japanese Lover….this was a great reading year for me……read some really good books! The Atomic Weight of Love by Elizabeth J. Church. the book thief – again ! It is on out list and I had already picked it! thank you! This is interesting. there are 30 books recommended for my book club and I have one more to choose! I decided the first one to come up here would be my last pick (we pick 10 out of about 40) but none of these are on the list yet. a few I have read, most I haven’t heard about so my list is getting longer by the post! Yay Keep them coming! On the list and I already picked it! Loved the story and writing style! On the list! I picked it! The Fireman by Joe Hill. The Nigjtengale? All the Bright Places? The Seven Husband’s of Evelyn Hugo? It’s been a great year for reading for me! We read it last year, great book. A Gentleman in Moscow without doubt. Re-reading The Good House by Ann Leary and have decided it’s my favorite! A few I’ve already chosen from our list,Man Called Ove, The Nightengale, A Gentleman in Moscow, about 8 we have already read (been a bc for 6 1/2 years) but still not the one on my list listed here. I can’t choose one book, so I’ll choose a series: the Gone series by Michael Grant. How about pachinko or the tea girl of Hummingbird Lane or little fires everywhere? They on the list? Hey we’re all great as well. Big little lies, what Alice forgot and three wishes. Stephanie, I liked it best. I enjoy her writing style. Have you seen the mini series for Big Little Lies on HBO? It was really good too! It is amazing how many books are out there! I am writing all these down! It might take awhile to write down 129 million books. Curious, Jeffrey Alexander Martin, is that just a random number or is that really how many people that are in the Silent Book Club? The Storied Life of A.J. Fikry. I didn’t even pick up on half the other book references. Apparently there was one on Lemony Snickett. I’m on the very last book reading to the kids. There were no little ones in my house when Lemony Snickett came along so I read them all for myself. Good stuff, you have fortunate children. I am glad the series is almost done though. I’ve about had enough. I can only take some much stupidity from so many adults. 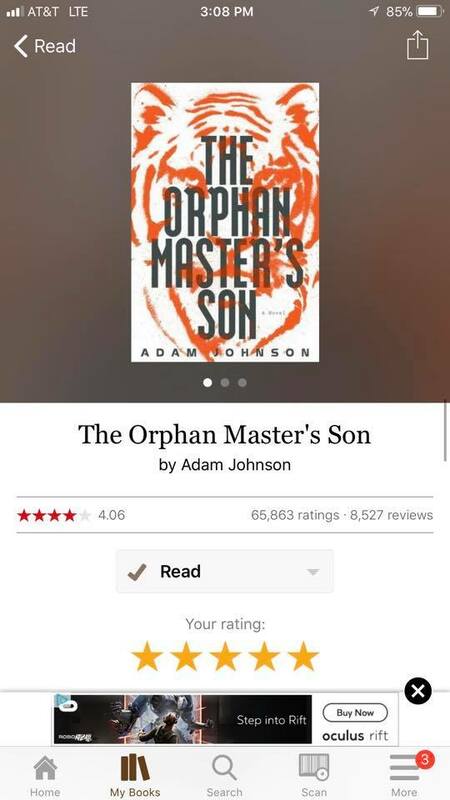 I can’t wait to read this one. Heard so many good things! Sarah Jenkins I really liked it 😊 I read it with a book club on Facebook. The page is Booklovers Anonymous. We’re reading Kindred by Octavia Butler now. The discussions have been going really well. I’m just started reading it…so excited. This one is on the list too, so if it’s voted in the top I’ll be reading it! A Man Called Ove!❤ Absolutely loved it! Everything I never told you. I’m adding Nightingale to my faves! The Guernsey…. has been on my shelf for a long time! Must make that happen soon. Guernsey is a great book. We read last year, great book. I just finished the series. It was much better than the movie. The movie almost made me not read them. Tyler I’m sorry I didn’t mean to post that on your comment! Miss peregrine is def on my list! Have you tried All the Ugly and Wonderful things by Bryn Greenwood yet? 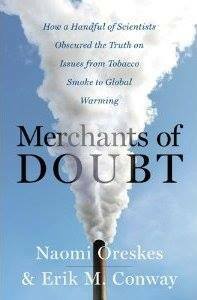 Such a controversial book and would make a fantastic book club read. It was my favorite book this year, but written in 2016 so a little easier to get your hands on. Thank you for this recommendation. I had never heard of this one. Sounds very good. What’s it about? Might have to put it on my book club’s list. As the daughter of a drug dealer, Wavy knows not to trust people, not even her own parents. It’s safer to keep her mouth shut and stay out of sight. Struggling to raise her little brother, Donal, eight-year-old Wavy is the only responsible adult around. Obsessed with the constellations, she finds peace in the starry night sky above the fields behind her house until one night her stargazing causes an accident. After witnessing his motorcycle wreck, she forms an unusual friendship with one of her father’s thugs, Kellen, a tattooed ex-con with a heart of gold. By the time Wavy is a teenager, her relationship with Kellen is the only tender thing in a brutal world of addicts and debauchery. When tragedy rips Wavy’s family apart, a well-meaning aunt steps in, and what is beautiful to Wavy looks ugly under the scrutiny of the outside world. Quite the book, Regina but I could not put it down. Jean, thank you for the synopsis. It sounds interesting. Just wanted to make sure you all noticed the word “provocative” in the description. I was looking through my Goodreads list for a favorite and decide I can’t do it, some are: One in a million boy by Monica Wood, the Hand that first held mine by Maggie O’Farrell, Killers of the Flower Moon, the Liberal Redneck Manifesto, 4,3,2,1 by Paul Austen. “The Fact of a Body” by Alexandria Marzano-Lesnevich. It’s part true-crime, part-memoir, constructed in a similar manner to “The Devil in the White City.” Also her prose is gorgeous despite writing about truly heinous things. Salvage the Bones – I’m still thinking about it! Born a Crime for nonfiction. Small Great Things for fiction. Small Great Things is on out yer list, I will be reading it even if it doesn’t get chosen! Barbarian Days A Surfing Life. Evicted – it got down and got real with life! All of Jodi Picoult’s novels are my favorite. I cant pick just one.. I should have added, Lillian Boxfish takes a walk. Beartown by Frederik Backman. You don’t have to like hockey to like the book. It’s on our list and I voted for it! I hadn’t heard of that one by him! Going to check it out! There are so many really thoughtful layers. I just looked it up, it’s my snowstorm go to book! Saving it for hot cocoa and lazy day! I’ve read so many great books this year thanks to my friends and my bookclub and now you all, it’s like choosing your favorite child, it is too hard. I also finally read The Immortal Life of Henrietta Lacks. It was super interesting. Bonnie, I recently watched the movie. Oprah did an outstanding job. News of the World, Homegoing, and Gone to Soldiers all got five stars from me on GoodReads. You know, I’m reading this now, and I was sure it was only going to get at best four stars out of five from me, but now that I’m near the end… wow… 4.5 stars for sure (but goodness, until she got to the really juicy part, I almost gave up on it)! Small Great Things by Jodi Picoult is pretty high on the list. I may be reading it right now. “Grant” by Ron Chernow. It weighs about nine pounds and my neck and shoulders are sore from trying to hold it up, but I am learning so much about my hero General Grant. This may be the book that gets me to switch to a Kindle. Yes, I’ve decided anything over 500 pages is a digital must. I believe I’ve finally come to that conclusion myself, Mary. Hard to pick my #1 right now… there are now NINE books in the running for fiction. However, if you’re looking for a piece of marvelous non-fiction, no contest – Not Quite Lost by Roz Morris! The Jane Austen Project. The basic plot is time travel (yeah, sounds weird, I know) but it’s a lot more about who we are as humans. It’s now on my TBRR pile (to be re-read). The Greedy Queen by Annie Gray. About Queen Victoria and food. Very interesting and enjoyable. Did you read Book of Ove? I’ve loved all of his books! Sing, Unburied Sing by Jesmyn Ward. Tough read but the writing was amazing! I really want to read this one, but I’m afraid that I won’t be able to read/stomach parts of it. I got it for someone for Christmas, so maybe I’ll borrow it back. It is so powerful, I think it is definitely worth the effort. Of course, saying that…I had my cousin read it who although she loved the writing,felt like she needed a cosy mystery to recover. OK, Michelle, you talked me into it. I’ll keep a fluff book at the ready. The Secret History, hands down. But the year’s not over yet! Hilde Vandermeeren – Schemerzone is available in English and a brilliant read! I read the Outlander series over the summer. I loved every minute of them. i am pilgrim was excellent ! I don’t have a clear favourite this year so I’ll list a few: The Bear & the Nightingale by Katherine Arden (1st of a trilogy, inspired by Russian folk tales about Vasilisa); The Far Pavilions by M.M. Kaye (long read but worth it–exquisite, historical adventure set in 19th century India); Love Creeps by Amanda Filipacchi (the premise sounds like a rom-com but it’s satire/dark humour); Kindred by Octavia Butler (must read!) and Homegoing by Yaa Gyasi. Born a Crime by Trevor Noah. Then I got to see hiim live last weekend. I was so happy! Love him! Small Great Things, by Jodie Picoult and Martin, Marten, by Brian Doyle. Watch me disappear by Janelle Brown. Killers of the Flower Moon by David Grann. tattered Cover? I’m in Denver too! Everything by Sarah J. Maas and Jeff Wheeler. I just read The Tower, and am in Throne of Glass withdrawal. I have been putting off the newest release for that very reason. Read that about 5 or 6 years ago and loved it. Great characters. Good, good choice! When I was a US history teacher here in Florida (8th grade), I had my students read the vol. 1, youth version. All the kids enjoyed it, including non-reader boys, and many wanted to read volume 2. I read this years ago for the first time. Recommended toso many people. One of my all time favorites! Thats a toss up between Small Great Things and The Rules of Magic. There are many books with this title, who’s the author? I was considering this one too, but then I decided I was too disturbed by it to call it my “favorite” … But I guess that’s a sign of a good book! OMG. That was so amazing and so disturbing. I loved that one too but read it year before last. non fic The Denial of Death (ernst BecKer) -Fiction : Elinor Oliphant is completly fine . Caleb’s Crossing, by Geraldine Brooks. Amazing writer. Dark Ages by Valerie L Price is book one of the popular Liatris Saga series. A fascinating adventure into horror, history and romance written in a style that instantly has you hooked in and irreversibly connected to a world from where you never wish to leave! My Grandmother Asks Me to Tell You She’s Sorry is neck and neck with The Monster Comes. A Gentleman in Moscow. Beautifully written and learned more about Russian history. American War, My Absolute Darling and Little Fires Everywhere were also great. It’s a book by Jeff Vandermeer that came out this spring. I had previously read his Southern Reach trilogy and enjoyed it, but I personally liked this better. Sci-fi fantasy dystopian future sort of thing. I’m reading Annihilation right now and really enjoying it! That is my favourite of the trilogy. Enjoy! “Precaution” by James Fenimore Cooper. A Gentleman from Moscow by Amor Towles. It is probably my favorite book of all time. Smart, funny, and very deep. My husband and I usually like the same books, but we both loved this one. I cant get through it! What am I missing? I listened to it and so did my husband. We both absolutely loved it. My favorite of the year also. Narrator was awesome. Gentleman from Moscow, Manhattan Beach and News of the World. The sympathizer! And also all the birds in the sky! I just told my husband I’d love to listen to that one. Read it probably 15 years ago and loved it. Over the past year I have read, or reread, all of Anne Rice’s books. My favorite is, surprisingly, The Feast of All Saints, a Masterpiece. I really liked the Orenda,, maybe too Canadian? The Heart’s Invisible Furies by John Boyne! I would have to say that Outlander is my most favorite book a fiction I have ever read. City of Women. The Story of Edgar Sawtelle. The Immortal Irishman. Zeitoun. Citizens of London. People of the Book. Very different books, but all wonderful and lasting. A Little Life by Hanya Yanagihara. Brutal and beautiful! A Gentleman in Moscow. A reading list for 2018. Thanks. Amazing pace. A Star Wars story that focuses on military and political power moves. A side of Star Wars that isn’t shown in any kind of media really. 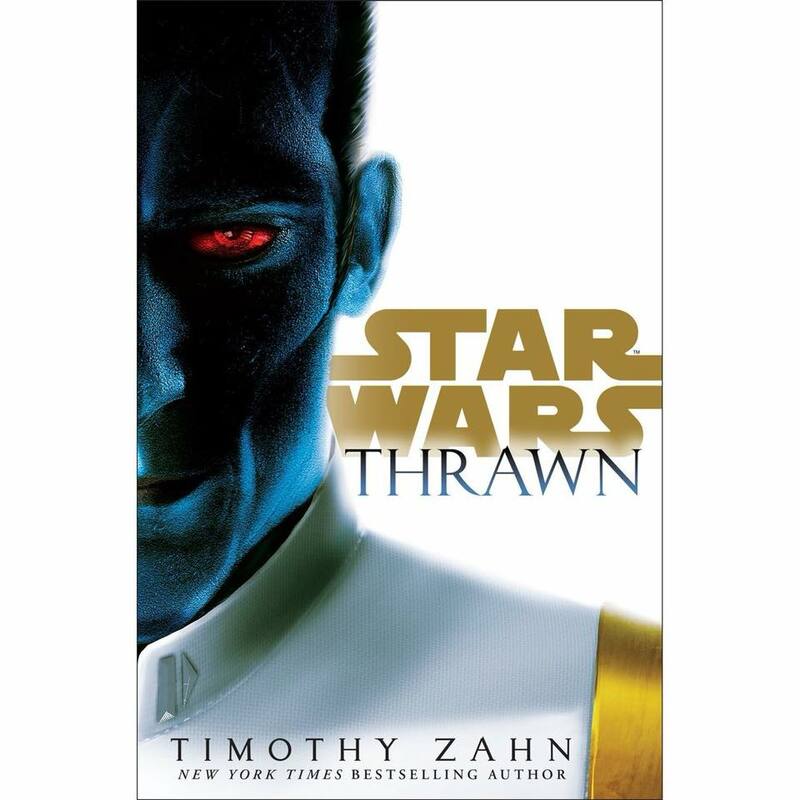 Grand Admiral Thrawn was widely considered to be one of the greatest tactical minds in any lore or fandom and this book focuses on some of his origins to the verse. A story with no Jedi or Sith as main characters side from the political duties of the Emperor himself. It also shows the moves of an aspiring Miner, Arindha Price as she moves to avenge the forced buyout of her family’s mining company by the Empire. She realizes that only through moving to through political ranks can she remotely achieve this goal. I could be spelling her name wrong. I’ve read some other stellar books this year, but for me this book was quite a surprise read. Found it looking for something else. The cover just pops for me. Aristotle and Dante Discover the Secrets of the Universe. One of the best books I have *ever* read. Arcadia by Iain Pears, very original storyline.